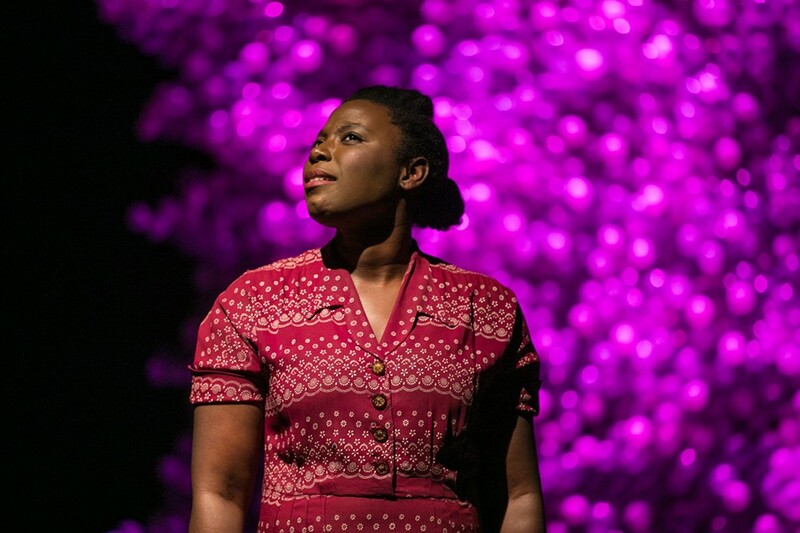 Jeunée Simon as Henrietta Lacks. To those unfamiliar with the history of exploitation by the American medical community of people of color — for instance, the 40-year Tuskegee syphilis study involving 600 Black men — it might come as a surprise that the cells of an African-American woman, Henrietta Lacks, were taken without her consent in the 1950s to be used for medical research. Now, her cells are the oldest and most commonly used line in medicine research. Lacks' life and death was detailed in Rebecca Skloot’s best-selling book, The Immortal Life of Henrietta Lacks, and in the Oprah Winfrey-produced HBO film based on it. Lacks and her family received no share of the eventual profits made from her cells, which makes the new play by Lauren Gunderson and Geetha Reddy, and directed by Evren Odcikin, a tragic, powerful opportunity to educate, expose, inform, and ultimately impact change and prevent history repeating itself. Laced with Gunderson’s easy facility with science and flair for writing strong female characters, the drama delves into the sorrow and beauty of Lacks' personal and public legacy, and short life. May 22 through June 17, $20-35, TheatreFirst at Live Oak Theater, 1301 Shattuck Ave, Berkeley, TheatreFirst.com.